Combining constructed photography and costume making, Gerwyn’s work is an ongoing inventory of characters that are assembled, worn and performed for the camera in an expanded and performative approach to image making. Through the layering act of dress, the body is used as a platform for reinvention, concealing the body through disparate materials in order to reveal new articulations. Prioritising excess and artifice, these manicured bodies are finally reconciled in to photo constructions of space; hyper real spaces that serve as digital habitats for the material self and experiment with the possibilities of how we may represent ourselves through the photograph. 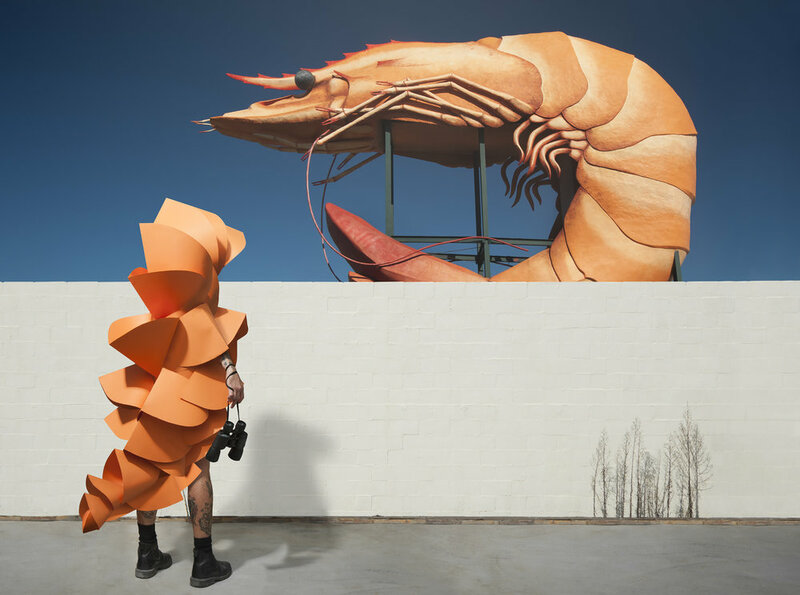 Gerwyn Davies will have a solo exhibition at The Art Gallery of Ballarat.